The Conference Grant Program provides support to scholars for small research conferences and focused symposia. This program is intended to bring together researchers whose substantive knowledge, theoretical insight, and methodological expertise can be assembled in ways that build upon and advance best practices in education research. This grant program supports conference proposals with budgets of $50,000 or less. The Conference Grant program provides support to scholars in developing small research conferences and focused symposia with budgets up to $50,000. We view conferences funded through this program as exploring critical issues in education research. We intend for applicants to bring together researchers, practitioners, and other important collaborators whose substantive knowledge, theoretical insight, and methodological expertise can be assembled in ways that build upon and advance education research. These convenings can serve as starting points for building new research agendas or as touchstones for research communities to connect and advance their shared scholarly interests about education research. The Foundation rotates the area of focus for this program annually to generate fresh ideas and perspectives on pressing educational challenges. For the next two funding cycles the Foundation will support conferences related to three topics that emerged from our year-long field engagement with the education research community. Essential to any successful system of education is the strength and capacity of those who perform its core purpose - its educators and leaders. The preparation and ongoing learning needs of educational professionals deserves focused attention. Teacher shortages, breaks in leadership trajectories, and labor conditions for faculties across early childhood settings, K-12, and postsecondary settings share cross-cutting concerns and challenges that coordinated research efforts can help address. Key issues include the education and training of the Pre-K educator and out-of-school learning workforce, especially given the rise in policies supporting universal pre-K, and the increasing reliance on after-school and out-of-school learning settings. At the other end of the spectrum, leadership positions in universities and colleges are increasingly difficult to fill, and scholars have called for more explicit attention to the development of university and college leadership pipelines. Learning is ubiquitous to human activity, and it is importantly shaped by people’s interactions with others as well as the institutions, histories, and places that expand and constrain the possibilities for learning. Developing more robust understandings of the complexities and variation in learning across cultural communities and learning environments that support a diversity of forms of human flourishing across the lifespan is critical. Learning serves multiple purposes, in and beyond formal learning environments at all levels of education through to careers and adult learning. Learning involves a wide range of cognitive and non-cognitive dimensions. We welcome proposals that advance conceptualizations of strength- and resiliency-based perspectives of whole-person pedagogies that value and partner with communities and families as central to learning. Investigating human learning and thriving includes recognizing that social challenges of today and tomorrow might call for renewed attention to both optimal pedagogies given technological advances, and how we conceptualize and measure learning. Rigorous research methods are at the heart of knowledge-building efforts and are essential to how we create evidence that is usable and reliable. In both quantitative and qualitative traditions, there are opportunities for development in the current moment that Spencer can support that will strengthen the quality of the data and evidence of research training in education research. In the quantitative tradition, new opportunities to engage with “big data”, including administrative data sets across multiple agencies, population-level data sets, and other new and emerging forms of data create the possibility for impactful conclusions and innovative study designs. However, these new data sets create demands for new quantitative and analytical approaches and careful consideration of data ethics. Additionally, ensuring that quantitative analyses of large data sets are informed by sophisticated theoretical frameworks is critical. In the qualitative tradition, the proliferation of emergent qualitative approaches creates new opportunities and challenges around ensuring that such research is conducted in adherence to a set of rigorous practices and standards of evidence. Additionally, the field continues to build on both quantitative and qualitative traditions to forge new directions for rigorous mixed methods. We are interested in proposals with thoughtfully designed meetings to address any one of the three topics listed above. One of the strengths of educational research is the way in which scholars engage numerous disciplinary traditions to answer critical questions facing our field. Successful proposals will bring together researchers from the field of education and beyond to approach the proposed topic from multiple perspectives. We also encourage applicants proposing conferences to consider ways of bridging the substantive, theoretical, and methodological expertise of participants. 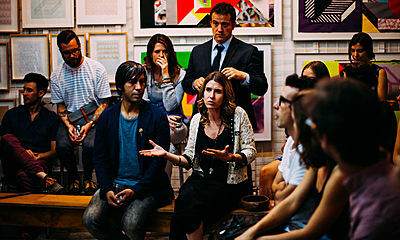 While not a requirement, successful proposals in previous rounds have also included other attendees outside of the academy such as teachers, policymakers, artists, or journalists if the convening called for such expertise. Proposals to the Conference Grant program must be for small research conferences and focused symposia that will build upon and advance best practices in education research in one of the areas of focus specified in the Program Statement. Principal Investigators (PIs) and Co-PIs applying for a Conference grant must have an earned doctorate in an academic discipline or professional field, or appropriate experience in an education research-related profession. While graduate students may be part of the proposal, they may not be named the PI or Co-PI. Conference Grant budgets are limited to $50,000 and may not include indirect cost charges per Spencer’s policy. PIs and Co-PIs may not submit more than one application for a given deadline in this program. The application process begins with a full proposal; there is no requirement to submit a letter of intent or intent to apply form. Full proposals for are due by 2:00pm central time, May 31, 2019. Conference Grant proposals must be submitted through an online application form following the guidelines below. Note: This application is configured for the Principal Investigator (PI) on the project to register and submit the form. If someone other than the PI will be completing the online application (e.g., an administrative assistant), the PI should register as described in Step 1 below, then provide their username and password to the person assisting them with the application. If you (the PI) have never accessed the Spencer Foundation online portal, you must register and create a profile by going to https://spencer.smartsimple.us and clicking the “Register Here” button. Follow the guidelines on the registration page to create your profile. If you already have an account, log on to update your profile and access the Intent to Apply form. After logging in, follow the directions to complete the information requested on the My Profile page and upload your current CV (10 page limit). The My Profile page is your online account with the Spencer Foundation whether you are applying for a grant, reviewing a proposal, or submitting a grantee report. Note: If you will have Co-PIs on your project, they must also register and complete their profile information if they wish to be included on the application. To fill out the application, go to your Workbench and click the Apply button for the Conference Grants program. Your draft application can be saved and returned to so that you may continue work on it at a later time and can be found on your Draft Proposals list on your Workbench. Within the online application, there are detailed guidelines for each section. Below is an overview of the elements you’ll be expected to complete. Project Personnel – As the person creating the draft application, you will automatically be assigned to the proposal as the Principal Investigator. If there are Co-PIs on the proposal, they can be added to the application in this section. They must first follow Steps 1 and 2 above before being added to the application. Proposal Summary – Information about the project is requested, such as the project title, start and end dates, and a 200-word project summary. You will also be asked to indicate which area of focus your conference will focus on: Developing High-Quality Educators and Leaders; Exploring Human Learning and Thriving; Innovative Research Methods. For more information on these areas, please review the program statement. Each expense for your project should be added and the budget narrative field should be completed, providing a description of that specific expense. Detailed guidelines are available within the application form. Subcontracts: If your project will have subcontracts, a separate subcontract budget form will need to be completed for each. The subcontract form has the same categories and line item choices listed above. Accommodations for people with disabilities: When budgeting for your convening you may include costs associated with accommodating people with disabilities. For example, you might need to allot funds for a sign language interpreter, assistive listening devices, video captioning, or printed media in an alternate format. The Spencer Foundation will consider such accommodations an allowable conference expense. Purpose and significance: Here the applicant should make explicit the need for and benefits of the conference. Applicants should describe how their proposed meeting is related to one of the three focus areas and how the meeting might lead to new and productive research agendas. In the proposal, applicants should provide a compelling rationale with a narrative grounded in what is already known about the topic or area. Additionally, principal investigators should also demonstrate how the proposed meeting will refine the education research community’s understandings. Research interests and expertise of invited conference participants: The proposal should include a brief description of the types of participants you plan to invite, (sociologists, learning scientists, environmental scientists, anthropologists, teachers, artists, or community organizers) and a justification for their inclusion. An actual list of potential named participants and their expected contributions should be uploaded as an appendix. These participants need not be confirmed at the time your proposal is submitted, but the conference organizers should have a reasonable expectation that they would attend if invited. Detailed curriculum: Applications should include a detailed curriculum for the meeting describing the goals and objectives of the convening and how the stated goals will be met during the proposed conference. By curriculum, we mean a clear plan for participation structures that support dialogue and collaboration that goes beyond a general meeting overview or basic conference agenda. Applicants should provide evidence that their proposed meeting will foster a learning environment that is collaborative, dialogic, and focused on problem-solving. We request a plan for facilitation and activities during the meeting and details about any assignments for participants before or after the meeting. To that end, we encourage applicants to reflect on the most appropriate way to design and execute a meeting that addresses the expectations of this call and the goals of the convening. Successful proposals go beyond traditional academic conference formats consisting of panel presentations with very little time for dialog and reflection. Deliverables and expected outcomes: We intend these conferences to be productive and move the field of education research forward. Ideally, the expected outcomes would be something that can be shared with the broader research community as a way of influencing the field. At a minimum, there should be some discussion in the proposal about the next steps following the meeting that speaks to how the scholarly exchange might spur continued discussion and learning with the broader field once the conference is completed. Many proposals discuss plans for proposing edited volumes, special journal issues, or planning symposia for AERA or other national conferences to highlight work that has developed from the meeting. We encourage applicants to be creative in their consideration of deliverables and consider a variety of potential audiences. This narrative may not exceed 2000 words and at the conclusion, should include the word count in parentheses. Your reference list should follow your narrative in the same pdf file and will not count toward the 2000-word limit. The text should be double–spaced and in 12-point font. APA style is preferred. Project Timeline – An uploaded timeline should indicate the proposed start and end dates of the funding as well as the planned dates for the proposed conference (even if tentative). The timeline should list the schedule of the major activities leading up to and, if appropriate, after the conference. The project timeline may not exceed 1 page and the text should be in 12-point font. Draft Agenda – A document providing a draft agenda for your proposed conference should be uploaded. This is different than the detailed curriculum as part of the proposal narrative. Potential Participants – A list of the potential participants and their expected contributions should be uploaded as a pdf file. We encourage gatherings that are multidisciplinary and strongly encourage applicants to consider an intergenerational roster of participants. These participants need not be confirmed at the time when your proposal is submitted, but you should have a reasonable expectation that they would attend if invited. Conference Organizers – This document should identify the roles, responsibility and knowledge base of the Conference Organizer(s) and any supporting personnel as appropriate. Additionally, it should articulate how the team will work together to organize the conference, highlighting what each team member will contribute to the conference. This document should be no longer than 250 words and the text should be double–spaced in 12-point font. Optional Appendices A – If you have additional documents focused on data collections tools, instruments, or protocols relevant to the conference, they can be included in this section of the application. Optional Appendices B – If you have other supporting document, such as letters of agreement or collaboration, they can be uploaded in this section of the application. Please see the guidelines in the online application for more information about these types of appendices. Project Data – Within the form, we ask you to check off the appropriate options with regard to your research conference in the following categories:disciplinary perspective, methodologies, topics, geographical scope, contexts, and participants. This information is helpful in determining the appropriate reviewers for your proposal and for internal evaluations of our grant programs. Signature from Authorized Representative of the Administering Organization – This section of the application details the steps necessary to obtain the authorized signature for your proposal. You are required to provide the Signatory’s name, title, and email address. Note: You, as the applicant, are responsible for making sure your proposal is signed by the deadline. The Spencer Foundation is unable to accept late submissions. Once you’ve completed all of the elements listed above, click the Submit button at the bottom of the page. The application process for the Conference Grants program begins with a full proposal; there is no requirement to submit a letter of intent or intent to apply form. Full proposals are due by 2:00pm central time, May 31, 2019. Proposals will be reviewed by external peer reviewers and internal staff. This review process takes approximately 4-5 months with decisions being sent in October 2019. During the review process, we utilized a panel of external reviewers, along with our internal staff, to help with our deliberations. Evaluation criteria include: the significance and rationale outlining the purpose(s) of the meeting, the robustness of the meeting curriculum and structure, background and experience of the lead conveners, and the adequacy of the proposed final product(s) that are expected to result from the meeting. Is the conference designed to address a compelling subject, question or puzzle on research about education and the proposed topic? Is there evidence that the proposed conference is designed to bridge the substantive, theoretical, and methodological expertise of participants to advance our research knowledge about the proposed topic in education research? Is there a clear and compelling curriculum with well-defined learning goals? Is the conference designed to facilitate collaboration, bi-directional problem solving, or mutually reinforcing work among participants? Does the conference proposal describe meaningful and feasible deliverables? Are the lead conveners’ core interests and past scholarship aligned with the central questions that are the focus of the proposed conference? Does the proposal explain that alignment in a persuasive and interesting way? Q: Will the Foundation entertain proposals that fall outside the thematic areas of focus for each cycle? A: Each cycle, the Foundation will issue a thematic conference grant call focused on advancing educational research. While there may be some very compelling conference grant proposals on a range of topics within education, the funding priorities for this program will regularly change to smaller subtopics within the field of education. If proposals are submitted on topics outside of the named focus areas in a given cycle, they will not be competitive. Q: I have an idea for a research conference and would like feedback from a program officer. Is it possible to contact someone? A: If you have reviewed our program statement and application guidelines and still have questions about where your idea for a conference falls within the focus of the call, feel free to email us at conferences@spencer.org for guidance. While we are not able to provide feedback on proposal drafts, we are happy to answer questions by email. Q: Do you accept conference proposals from outside the United States? A: Yes, we accept proposals from outside the U.S. Application materials must be submitted in English and project budgets must be in U.S. dollars. Q: If I am turned down, is it possible to revise my proposal and reapply in a later cycle? A: Spencer does not have a policy against accepting uninvited revised proposals. However, you should know that many factors go into the final decision on each proposal, including our limited budget. Even if you are able to address the concerns mentioned in the feedback in your revised submission, we can offer no guarantees as to the likelihood of funding. Additionally, the conference grant focus areas will change annually, so depending on the timing of your submission, a revision may not be appropriate for the current call for proposals. Q: If I have a current research grant through Spencer, can I apply for a conference grant? A: Yes, for this competition, we are open to grantees holding a conference grant as well as an active research grant. Q: May I apply for a Spencer Conference Grant and combine it with funding from another agency? A: The Spencer Foundation occasionally receives requests for work that would, if funded, be part of larger projects that might ultimately include multiple funding sources. The conference proposed to Spencer ideally would be able to stand alone. In this case, additional resources from another funder might allow for a larger meeting or perhaps a follow up meeting. What we want to avoid is funding only part of a meeting that cannot reach its goals without additional resources. Q: Can I use Spencer Conference Grant funding to fund or supplement existing conferences? A: The Foundation's conference grant program on research is meant to support scholars for new one-time meetings. Spencer Conference Grants may not be used to support ongoing conferences or meetings that are already in existence. Q: Does this conference grant program provide support for travel to existing conferences? A: The current program is not designed to provide funding for individuals to travel to existing conferences to present their research. This conference grant program has been established to provide support for a group of scholars to hold an original convening on a research topic in the field of education. Q: Does the conference grant program provide support for scholars to convene practitioners for professional development? A: The submission of proposals focused exclusively on professional development for teachers or faculty would not be competitive for this grant program unless there was a clear and compelling research focus articulated by the principal investigator. Below is a list of the Conference Grants most recently awarded. These were funded in response to the 2018 call for proposals, which focused on understanding education and learning in connection with broader social challenges.